As you know I'm hosting a new genealogy TV pilot about late discovery adoptees and reunions and the a3Genealogy DNA and a3Gen Private Investigative (PI) teams work tirelessly on adoption cases. 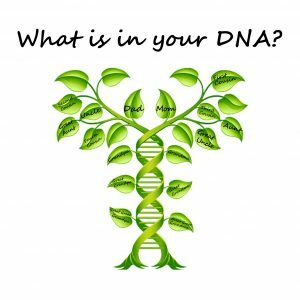 Using DNA as a tool is so healing for so many! I will be talking about ancestry.com, familytreedna, 23andme and MyHeritageDNA and others at the Topeka Kansas What's In Your DNA? workshop Nov 17-18. Here's the workshop schedule. Be sure to join me there. Take a look at this ABC Good Morning America video of a reunion. Can you image the conflicts, the questions, etc.? Holidays are coming and I want you to get gifts for a lifetime. Like a DNA kit. They are on sale now everywhere. Please test the oldest persons in your family on both father and mother side (that old uncle who talks with a mouth full of spit can spittle it right into the DNA kit tube). Test both parents if possible. If you want more suggestions on who to test and specific recommendations for your genealogy needs just drop me a note. Why? Because now you are busy working and coping with life. But one day you will stand up and ask yourself "Who in the world am I?"